The State Department notified Congress that it would look to suspend 2017 and 2018 foreign aid payments to the trio of nations, which have been home to most of the migrant caravans that have marched through Mexico to the U.S. border. Trump has turned these massive caravans into the symbol of the dangers of illegal immigration — a central theme of his midterm campaigning last fall. With the special counsel’s Russia probe behind him, Trump has revived his warnings of the caravans’ presence. 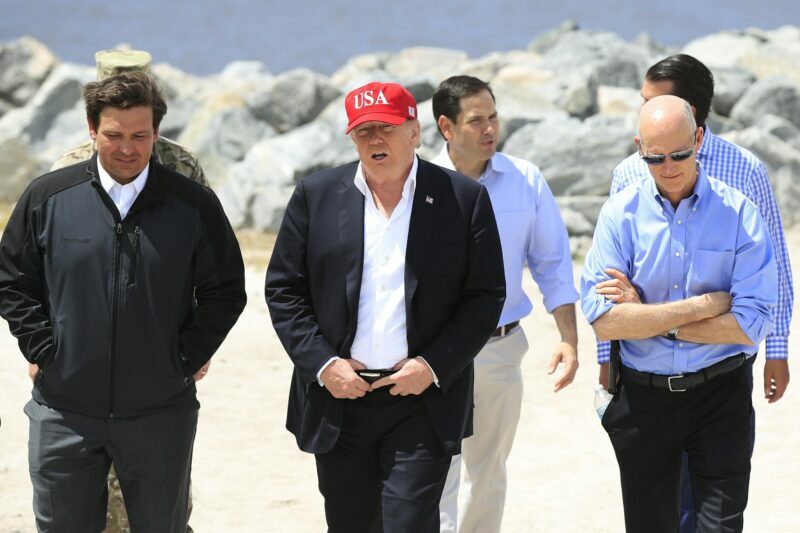 Trump has been promising for more than two years to build a long, impenetrable wall along the border to stop illegal immigration, though Democrats in Congress have refused to provide the money he needs. 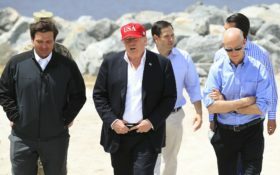 In the meantime, he has repeatedly threatened to close the border, but this time, with a “mother of all caravans” heading towards the U.S. , he gave a definite timetable and suggested a visit to the border within the next two weeks. A group of House Democrats visiting El Salvador denounced the administration’s decision to cut U.S. payments to the region. The Trump administration has threatened before to scale back or cut off U.S. assistance to Central America, but it’s warnings were largely ignored. Congress has not approved most of those proposed cuts, however, and a report this year by the Congressional Research Service said any change in that funding would depend on what Congress does. Short of a widespread border shutdown, Homeland Security Secretary Kirstjen Nielsen said the U.S. might close designated ports of entry to re-deploy staff to help process parents and children. Ports of entry are official crossing points that are used by residents and commercial vehicles. Many people who cross the border illegally often use legal loopholes to request asylum under U.S. law, which does not require asylum seekers to enter at an official crossing. Border officials are also planning to more than quadruple the number of asylum seekers sent back over the border to wait out their immigration cases, said an administration official. The official said right now about 60 migrants per day are returned and officials are hoping to send as many as 300 per day. Mexican President Andres Manuel Lopez Obrador said Friday his country was doing its part to fight human trafficking. Criminals charge thousands of dollars a person to move illegal immigrants from Central America through Mexico, increasingly in large groups toward remote sections of the border.